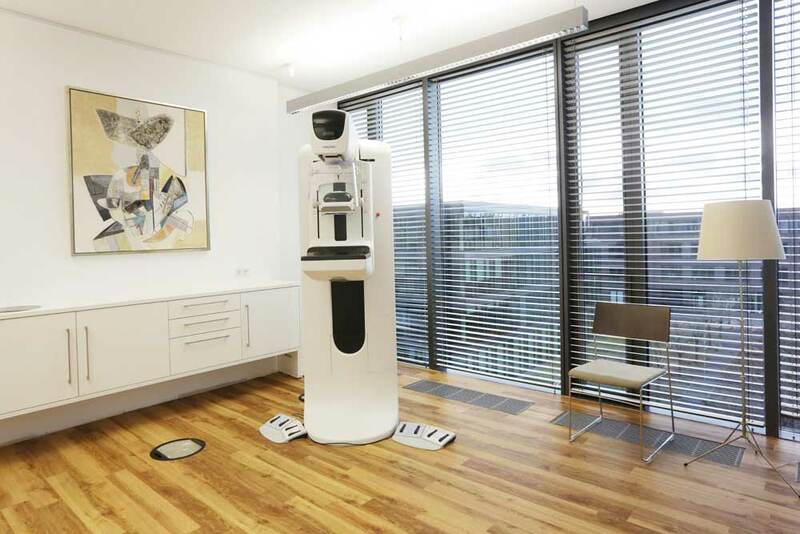 Beta Klinik is a modern hospital, which consists of 30 specialized departments. 60 doctors and 180 members of the medical staff take care of patients every day. The hospital offers excellent medical equipment of the latest generation, individual care, and a pleasant atmosphere. Every patient will feel comfortable here. The doctors of the Beta Klinik follow a holistic approach and, therefore, they work closely with each other. All examinations, procedures, operations and rehabilitation measures are conducted under а strict control and close contact with individual specialists and therapists. For patients this means an accurate and coordinated diagnosis, an effective treatment with the use of the latest medical techniques. The hospital has a complex quality management system and modern medical equipment of the university level. The operating rooms, an intensive care unit and the rehabilitation center corresponds to the highest standards. This also concerns highly qualified physicians of the hospital who are constantly receiving advanced training. The patients of the hospital live in comfortable single patient rooms with an ensuite bathroom. The patient rooms are made in a modern design and meet the standards of a five-star hotel. It is also possible to be accommodated in the enhanced-comfort rooms. For the convenience of patients, the patient rooms are equipped with fully electrically adjustable beds, air conditioning, satellite and internet TV, telephone and wireless internet (Wi-Fi). 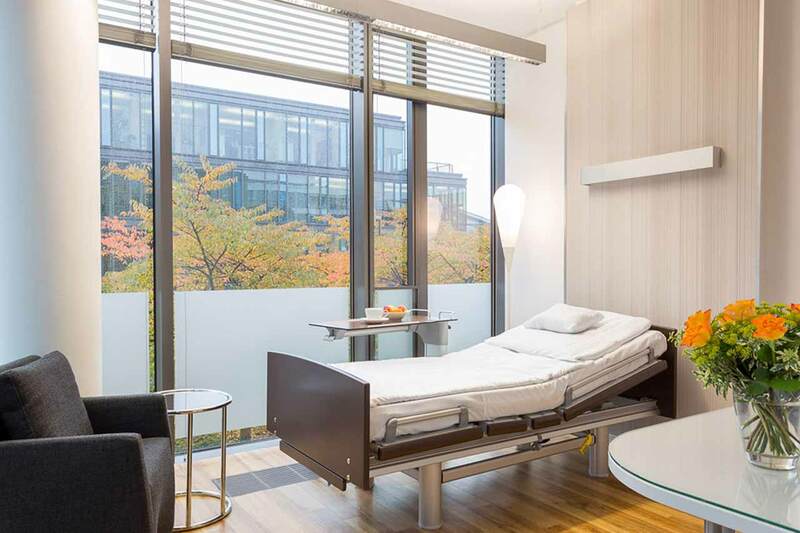 The windows of the patient rooms offer a beautiful view of the River Rhine and stunning green landscapes. The patients of the hospital are offered a balanced, delicious food: a buffet breakfast, a hearty three-course lunch and a light dinner. Also, for dinner one can taste special offers from the chef at the hospital restaurant, which, if desired, are served to the patient room. Bonn is a cozy, beautiful city, located on the River Rhine with a history of more than two thousand years. Bonn was the capital of FRG before the unification of eastern and western Germany. The city is famous as the birthplace of Beethoven, as well as for its university, among the graduates of which there are many great people. The biggest part of attractions in Bonn is concentrated in the historical center of the city. The huge market square which crosses almost the whole city is considered as its heart. Just right here one can see a huge variety of buildings of different times and different styles. The Town Hall, which was built in the 18th century, is the center of the market square. There is a real museum quarter in Bonn where everyone can find something interesting for himself. There is the Museum of Zoology, the Museum of History of the Federal Republic of Germany, the Museum of Arts, the Museum of Science and Technology, the Egyptian Museum, and others. The St. Martin's Basilica deserves special attention among the religious sights. It was built in the 13th century and it is a true example of the Romanesque style. Nowadays, there are many valuable artifacts in the walls of the church, namely an ancient altar, beautiful sculptural compositions and ornaments made of wood. 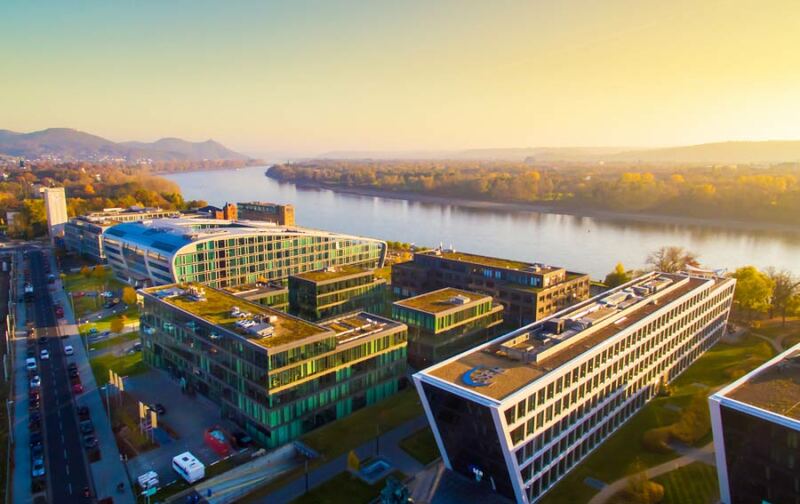 Even a common walk through Bonn, especially along its embankment, will open a wonderful view on the city and on the river, and it will bring you a lot of pleasure. The motor ships swim across the Rhine in Bonn. In July and August, there is an opportunity to swim in a motor ship at night. At this time the firework is held on the rocks along the Rhine, while the castles, which stand high above the Rhine, are illuminated. This is a truly fabulous sight.